For the last few weeks, I’ve been taking care of the alien that crashed on this world. She never speaks, but when I speak to her, she seems quite receptive to it, and I’ve been assuming she’s trying to encourage me to speak more. When I first pick her up, there’s nothing around, except for a few dead trees I can see in the distance. We’re obviously still not on Earth, so I realize that this is the best I’m gonna get. I tear them apart and set up a lean-to shelter, though I’m not sure it’s necessary. As terribly barren as this place is, there also doesn’t seem to be any weather. Still, as soon as you get too comfortable with something, it’s taken away from you, so just always be prepared. The shelter isn’t necessary for long either way, though. 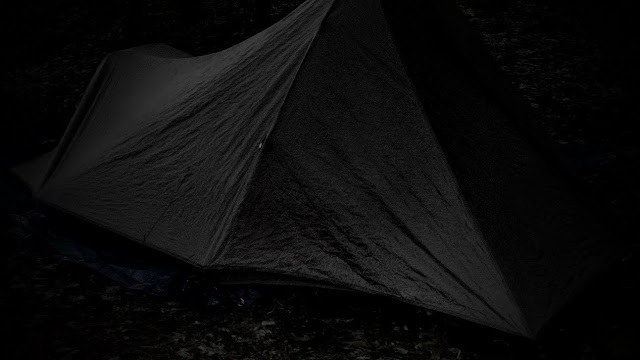 When the alien first wakes up, a tent suddenly appears several yards away. A couple days later, she’s a lot more lucid, and a log cabin appears to replace the tent. Over time, as her strength increases, we upgrade our lodgings. She has some power over this place, and I think perhaps maybe, she’ll eventually be able to get us out of it. “Would you not want to return to your own world?” I ask her. “You’re from a different universe?” I ask, intrigued. “You encountered an evil alien race?” I guess. “In our universe?” I ask, ashamed. I nod and walk into the kitchen for a glass of water. We’re now living in a house far nicer than anything I’ve ever been in. It’s only missing two things: basic entertainment, like television and radio, and a way to leave. “Are you thirsty?” I ask. “You know this?” I ask, not sure how. “Then what is?” I ask her. I shake my head, at a loss.